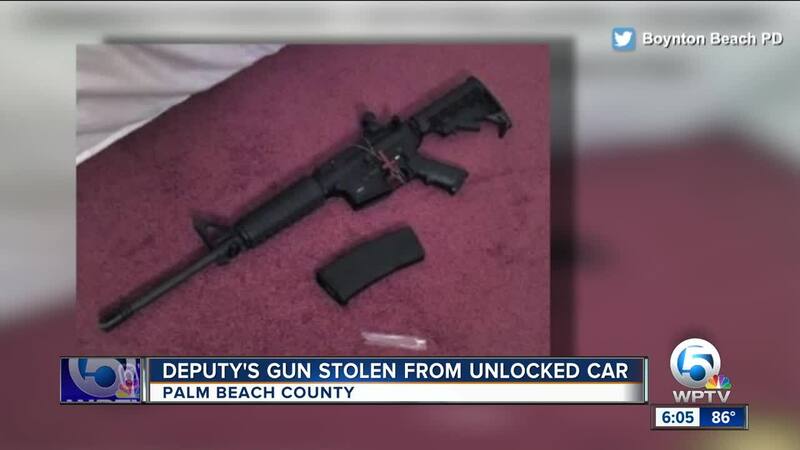 A Palm Beach County sheriff's deputy faces a written reprimand after his AR-15 was stolen from his unlocked car while he worked an off-duty job at a shopping center. 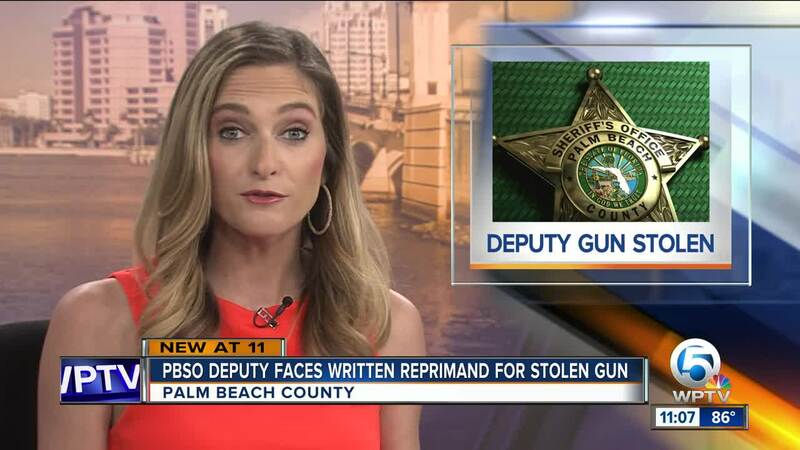 PALM BEACH COUNTY, Fla.-- A Palm Beach County Sheriff’s deputy whose AR-15 was stolen out of his unlocked deputy car received a written reprimand for a neglect of duty. In August the deputy, while off duty, reported that his rifle and other police equipment were missing and believed stolen while his car was parked behind a business on N. Congress Avenue in Boynton Beach. Boynton Beach police reviewed surveillance video from neighboring businesses, talked with witnesses, and found an Instagram video of one of the burglary suspect’s dancing and rapping with the stolen rifle. 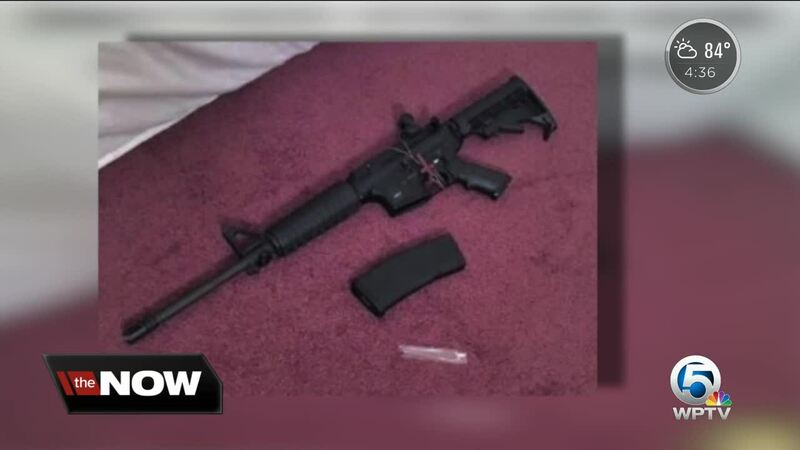 Detectives found the stolen high-powered rifle under the 17-year-old’s mattress in his Riviera Beach home. An internal affairs investigation revealed Deputy Heriberto Santiago left his unmarked Palm Beach County Sheriff’s car unlocked. Boynton Beach police tweeted a post saying since January this year more than 40 guns have been stolen from cars and in nearly half of the cases, the car doors were unlocked. 44 - the number of guns stolen from cars in the city since Jan. 1. 24 - the number of those cars that were left unlocked. 0 - the number of guns stolen from a safe inside the car. “If it happens to me, if it happened to them, it can happen to anybody,” said Anthony Andrepont, whose gun was stolen from his unlocked car in April. Andrepont said it was an unfortunate mistake. Papas said there’s no excuse for anyone, especially for a deputy held to a higher standard. Boynton Beach police arrested the 17-year-old and there may be more arrests coming.